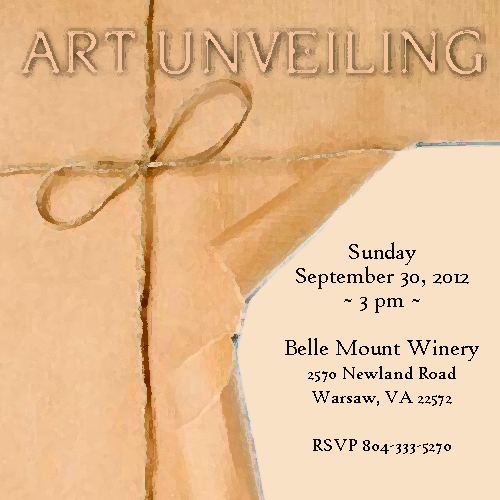 You are invited to the unveiling of the original pen and ink drawing of Belle Mount by artist, Bill Martz. This event is hosted by Charles Belfield, a descendant of the Belle Mount Belfields. The manor house at Belle Mount in Richmond County, Virginia was the home of John and Ruth Sydnor Belfield. John, son of Thomas and Mary Meriweather Belfield, was one of the 115 patriots who signed the Leedstown Resolves (also known as the Westmoreland Resolves) in 1766 – one of the first deliberate acts of sedition against England. John became a member of the Virginia Dragoons where he served in the rank of Major. He fought in many battles to help win our freedom from England, in order that we could become the United States of America. His home at Belle Mount was destroyed in the War of 1812. No picture has ever been produced until now. Bill Martz is a Northern Neck artist. You can find out more about him at billmartz.com.